Setting injuries, illness and personal tragedy aside, Sri Lankan all-rounder has answered the call of duty in fine fashion. Shashikala Siriwardene is one of many cricketers who have played or will play their 100th One-Day International during the ICC Women’s World Cup 2017. She will be the first Sri Lankan to reach the milestone, on July 15, if she features in all seven group games. The travails she had to endure to be ready for the World Cup offers a fascinating insight into the fickleness that is a part of every athlete’s life. Siriwardene injured her left hamstring during the ICC Women’s World Twenty20 2016 warm-up game against India in Bangalore in March last year, which needed to be reattached. Having just turned 31, she was doubtful about her future as a cricketer. Dr Dinshaw Pardiwala, a famous sports orthopaedic in Mumbai who has operated upon many prominent athletes, assured Siriwardene that she could play international cricket within five months of surgery. Even as she was recovering, Siriwardene lost her father to a heart attack in April. She resumed playing cricket within three and a half months, but met with an accident in Colombo in August. She was on her bike when a three-wheeler hit her. The bike fell on her right knee as she slid towards a wall overhanging the street. Siriwardene did not feel any serious discomfort, but scans revealed that she had torn her anterior cruciate ligament (ACL) because of the weight of the bike. She underwent another surgery to reconstruct her ACL, as it would have impossible to play by just taping the knee. Siriwardene injured her left hamstring during the ICC Women’s World Twenty20 2016 warm-up game against India in Bangalore. The operation ruled Siriwardene out of the ICC Women’s World Championship games against Australia and England at home between September and November, but the doctor promised her that she would be ready for the qualifier at home in February 2017. She was just starting to walk properly and followed the rehabilitation routine for more than two weeks but a small wound on the right toe, possibly from the accident, turned infectious. She had fever for 46 days, she reveals, and was told that she would not be able to play cricket again. Siriwardene revisited Pardiwala in Mumbai in order ‘to become a normal person again, and not a cricketer’. It proved decisive, as Pardiwala was able to cure the infection in a fortnight. Finally, after being bed-ridden for a month and a half, Siriwardene was able to walk again. On returning to Sri Lanka, her physiotherapist recommended that she resume playing cricket. Despite having only played five or six practice matches with the boys, she was named in the World Cup squad because the management felt her experience would prove valuable. This is Siriwardene’s last 50-over World Cup, and the performance in 2013 when she led the team to a fifth-place finish could end up being the highlight of her career. Siriwardene was expected lead the side on her return, but is glad SLC took the right decision by appointing a new captain as she feels her continuous absence would have disturbed the team. While the father, who dropped her at “practice ‘til I got married at the age of 28”, was responsible for Siriwardene’s rise, Namal Senevirathna, her husband, and mother gave her the mental strength during the rough period. Senevirathna, who is a cricketer and coach too, is responsible for Siriwardene not giving up cricket four years back. As one of seven players with the 1000 run-100 wicket double in ODIs, Siriwardene will forever be the trail-blazer for the future stars of her country. 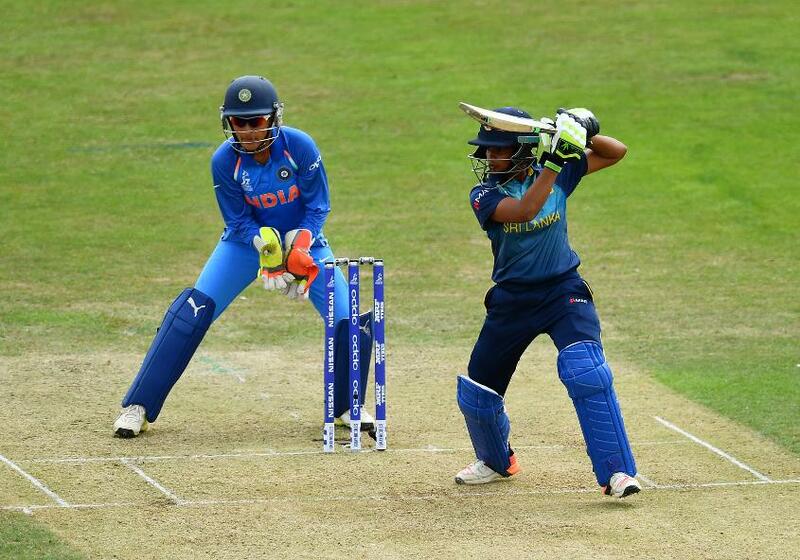 This is Siriwardene’s last 50-over World Cup, and the performance in 2013 when she led the team to a fifth-place finish could end up being the highlight of her career. She agrees that the team has not lived up to the standards since that performance. “In 2013, we had a very experienced bunch of players. Only one or two were inexperienced ones. After the World Cup, they had their plans and a few players gave up. So, it really affected the team,” she opens up. “It’s better that we have a developing team. A few players have done really well. I think that’s the main reason for the gap. From playing a crucial role in a win against Windies on her debut as an 18-year-old in 2003 to being the senior statesman of women’s cricket in Asia alongside Mithali Raj, Jhulan Goswami, Sana Mir, Asmavia Iqbal and Sripali Weerakkody, Siriwardene’s decade-and-a-half career has come a full circle. As one of seven players with the 1000 run-100 wicket double in ODIs, she will forever be the trail-blazer for the future stars of her country.